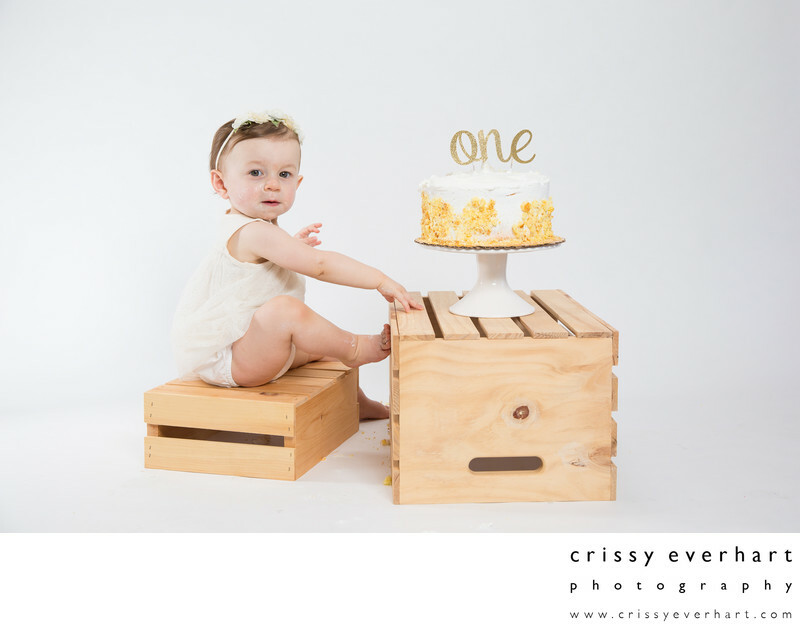 First birthday photo shoots are some of my favorite sessions to photograph, because the one year old is just growing into their big personality, and they are full of expressions and hilarious antics. At the end of a birthday photo shoot, we sometimes do a cake smash. Cake Smash photos document the toddler seeing the cake, tasting the cake, and eventually destroying the cake. It is so funny to watch these 1 year olds get their first taste of cake and see how each child reacts. Some love it and go all in, and some could not be any less interested.